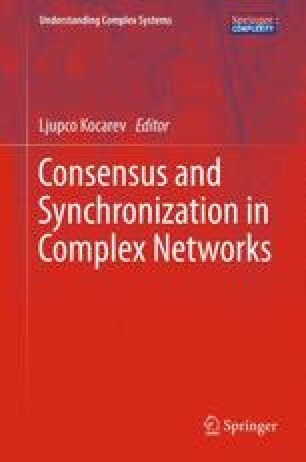 We study networks of coupled dynamical systems where an external forcing control signal is applied to the network in order to align the state of all the individual systems to the forcing signal. By considering the control signal as the state of a virtual dynamical system, this problem can be studied as a synchronization problem. The main focus of this chapter is to link the effectiveness of such control to various properties of the underlying graph. For instance, we study the relationship between control effectiveness and the network as a function of the number of nodes in the network. For vertex-balanced graphs, if the number of systems receiving control does not grow as fast as the total number of systems, then the strength of the control needed to effect control will be unbounded as the number of vertices grows. In order to achieve control in systems coupled via locally connected graphs, as the number of systems grows, both the control and the coupling among all systems need to increase. Furthermore, the algebraic connectivity of the graph is an indicator of how easy it is to control the network. We also show that for the cycle graph, the best way to achieve control is by applying control to systems that are approximately equally spaced apart. In addition, we show that when the number of controlled systems is small, it is beneficial to put the control at vertices with large degrees, whereas when the number of controlled systems is large, it is beneficial to put the control at vertices with small degrees. Finally, we give evidence to show that applying control to minimize the distances between all systems to the set of controlled systems could lead to a more effective control. A portion of this research was sponsored by US Army Research Laboratory and the UK Ministry of Defence and was accomplished under Agreement Number W911NF-06-3-0001. The views and conclusions contained in this document are those of the authors and should not be interpreted as representing the official policies, either expressed or implied, of the US Army Research Laboratory, the US Government, the UK Ministry of Defence, or the UK Government. The US and UK Governments are authorized to reproduce and distribute reprints for Government purposes notwithstanding any copyright notation hereon.